Award-winning classical guitarist and composer Laura Snowden was handpicked by Julian Bream to give the Bream Trust concert at Wigmore Hall in 2015 and 2017, including world premieres by Olli Mustonen and Julian Anderson, commissioned by the Trust. She was the first guitarist to graduate from the prestigious Yehudi Menuhin School, where guitar tuition was made possible by a donation from the Rolling Stones. She was invited by guitarist John Williams to perform at Shakepeare’s Globe with her folk ensemble Tir Eolas, and recently recorded Lisa Streich’s new guitar concerto Augenlider with the Deutsches Symphonie-Orchester Berlin. 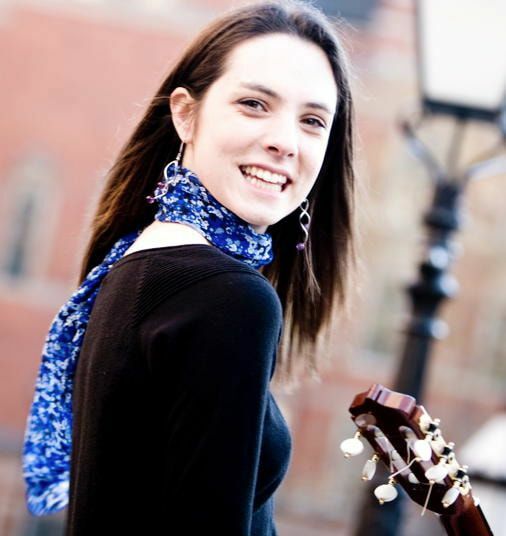 Laura won First Prize at the Volos International Guitar Composition Competition and has been commissioned by VIDA Guitar Quartet and the International Guitar Foundation; her song Live Free was performed at over 300 simultaneous concerts in 60 countries for the charity Voices for Hospices. She currently teaches at the Yehudi Menuhin School and has given classes at the International Guitar Foundation's Summer School, the Royal Welsh College of Music and Drama, Birmingham Conservatoire and the Altamira Hong Kong International Guitar Symposium.